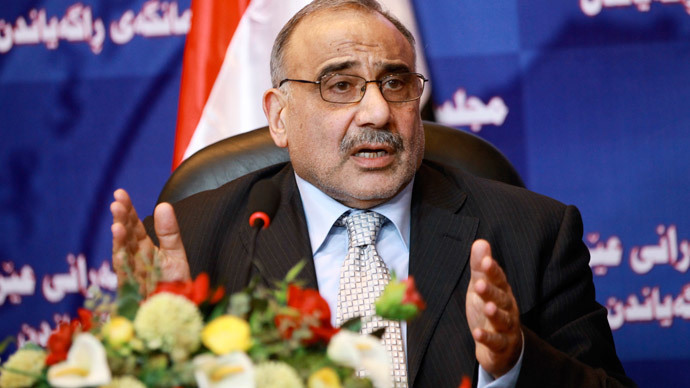 Oil prices should not fall below the current average of $47 a barrel, Iraq’s oil minster Adel Abdul Mahdi has stated. "Our estimate is that the prices (of oil) have reached the bottom. It is very difficult to drop lower than this," oil minister Abdul Mahdi said at an industry conference in Kuwait Wednesday. Oil prices have fallen nearly 60 percent since June 2014, both WTI and Brent benchmarks are below $50. "We do not find any real justification for the big and persistent drop in oil prices," the Iraqi oil minister said. Iraq, the country that has added more oil to the market than any other OPEC cartel member, continues to overproduce to try and combat the damage of a collapsing price, which the country’s oil minister believes has slashed 50 percent of the state revenue. Current production is 4 million barrels per day. “I expect the price to go up in the range from $50-70” Dr. Karin Kneissl, an independent oil analyst and professor, told RT. “To consider OPEC as the scapegoat is not the right assessment of the situation. OPEC supplies 44 percent of the market, and the other 56 is supplied by non-opec producers," Kneissl added, referring to November OPEC decision to keep its output unchanged. Bank of America forecasts prices could fall as low to $31 a barrel in 2015, and Goldman Sachs revised its forecast to $42 a barrel for the first half of the year. More upbeat estimates see prices bouncing back upwards to $60 a barrel. The tumbling oil prices are also taking center stage at the World Economic Forum in Davos, Switzerland. At the forum, Russian Deputy Prime Minister Arkady Dvorkovich said Russia may cut production by 1 million barrels per day. If enough companies pull projects and investment, production growth will slow, and the price will rebound. There is a current 2.5 million barrel daily production surplus. Oil has dropped on weak demand, especially from the EU and China, and has therefore been a volatile force shaping the global economy. Delegates at the World Economic Forum in Davos remain unconvinced that 2015 will be any better than 2014. Less than half the delegates are optimistic about 2015, and a record 17 percent believe next year will see more economic trouble than 2014, according to a poll conducted by PriceWaterhouseCoopers. This week both the IMFand EBRD cut their world growth forecast, saying that the benefits of lower oil prices won’t cover the losses from a slowdown in some of the world’s biggest economies, such as China and the EU.